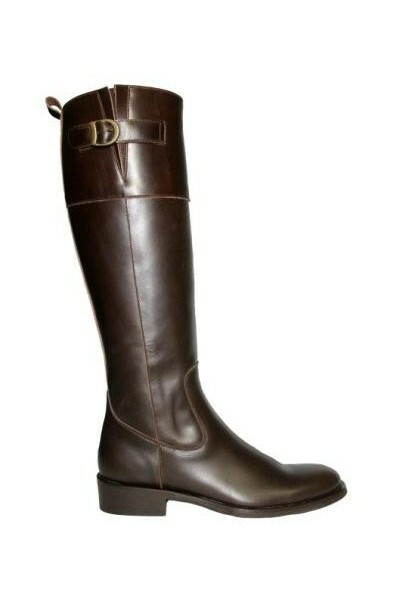 Custom-made brown leather riding boots for women. Traditionally made, with a high-quality mix of leathers, for elegant riding boots with a stunning cut for women and men by shoesmade4me.com, your luxurious leather riding boots manufacturer. 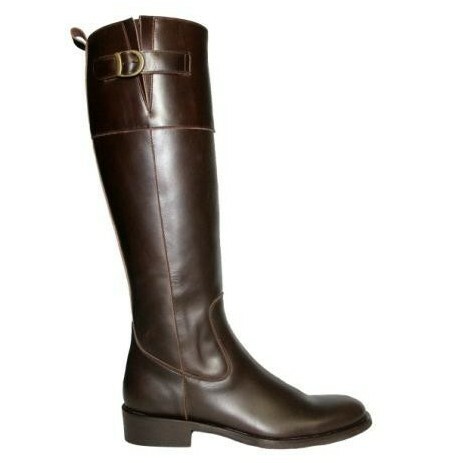 Brown leather made to measure riding boots for women. 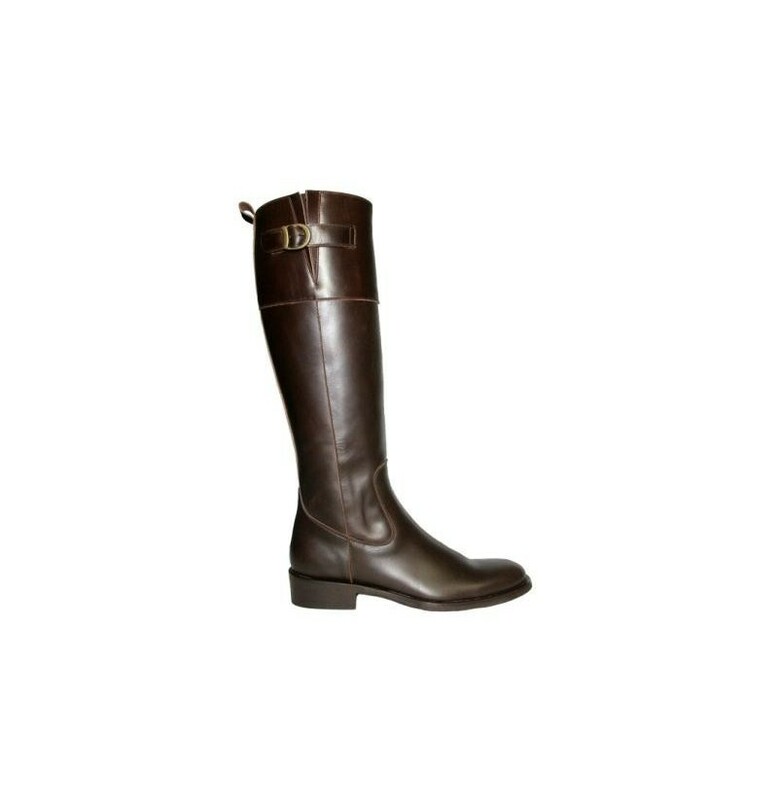 Splendid brown riding boots entirely made of leather for women, with a beautiful cut, adorned with a buckle on top of the upper and a little accordion pleat. With their comfortable, trendy cut and their uncluttered design, these beautiful leather boots will provide you with comfort and resistance. You can wear them in town or during your equestrian hobbies. The sole and insole are made of leather. These riding boots are entirely handmade, following the most traditional custom.